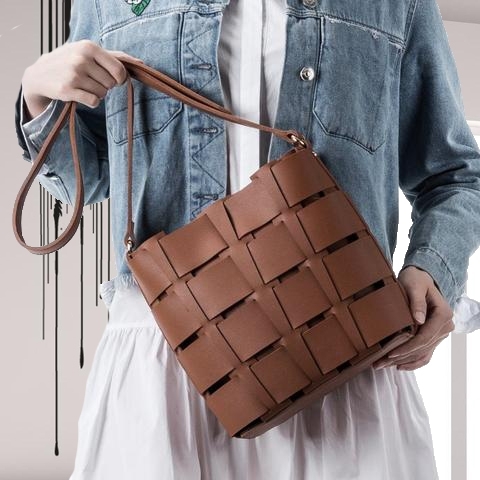 Vegan leather, basket weaving & bucket silhouette is the season's on trend everyday bag. 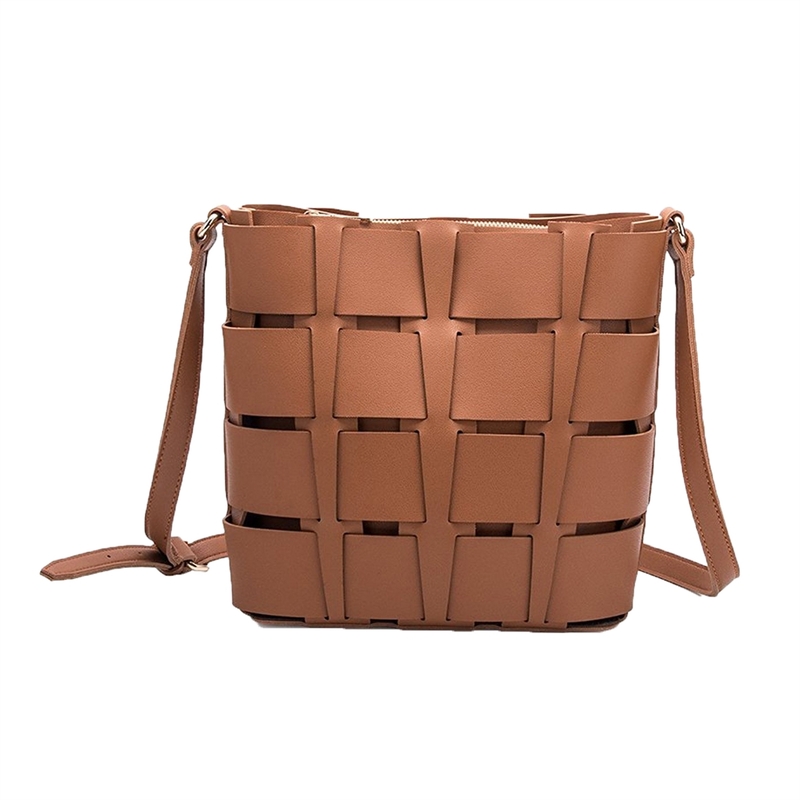 Bucket crossbody bag crafted in premium vegan leather. Features a wide basket weave design. 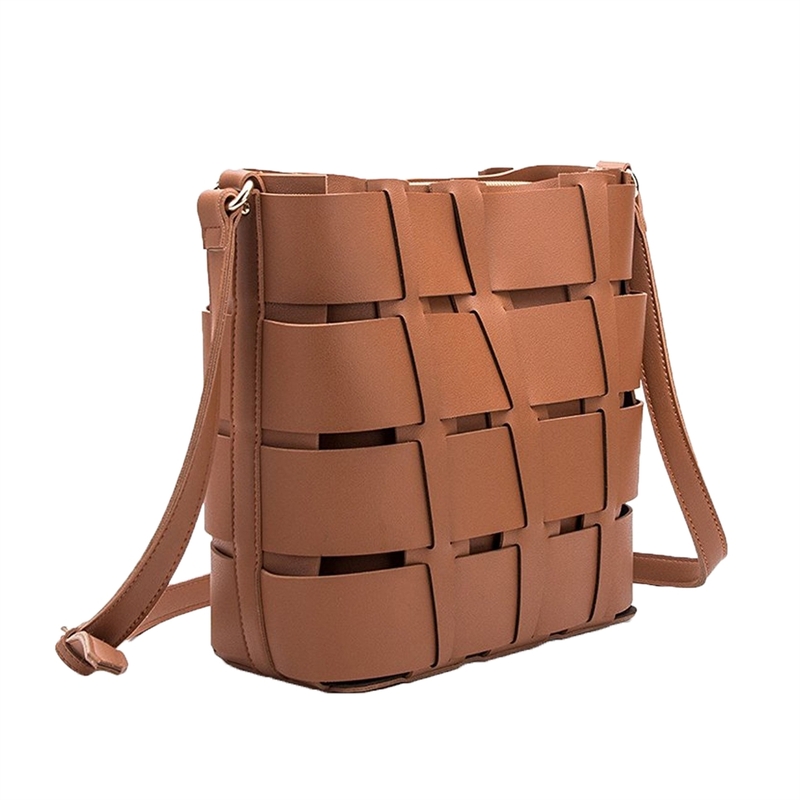 Adjustable crossbody strap, 21" drop. Zip closure. 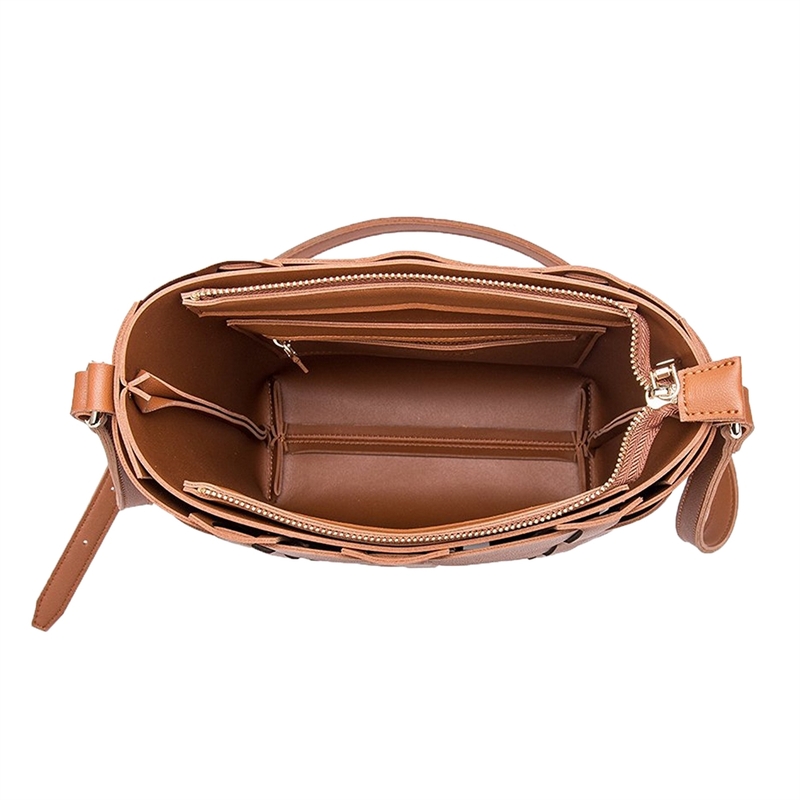 Interior zip pouch pocket.